Call Now for a Diagnosis! Pro-Precision Electrical Contracting LLC has been providing electrical services to customers in Miami and the surrounding area for over 8 years. We will assist you in getting your electrical problems solved in no time. We offer a broad spectrum of services ranging from electrical wiring and rewiring to electrical panel upgrades and changes. Pro-Precision Electrical Contracting LLC is Miami's one-stop solution for all electrical services. We specialize in electrical troubleshooting, electrical home inspection, electrical wiring, electrical upgrades and more. 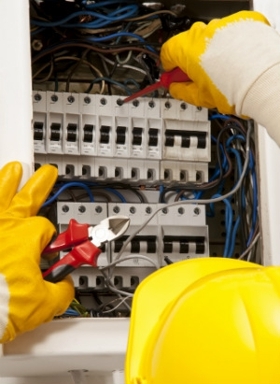 We take care of both commercial and residential electrical needs. To learn more about our services, call us at (786) 401-5016. Copyright © 2018 proprecisionelectrical.net All rights reserved.